June 10th was our “American themed” day of the tour. Having applied to this tour due to my interest in Canada’s participation and sacrifice in the First and Second Worlds Wars, I wasn’t expecting to have such an eye opening and enthralling experience on a day that was based upon the actions of our neighbours to the south. We started the day with a trip to the La Cambe German war cemetery (containing German war dead from Normandy). As the visit progressed I noticed a much darker and somber atmosphere in comparison to the other cemeteries we had visited. Buried among these soldiers were men and boys from the 12th and 1st SS Panzer division. Seeing the graves of Waffen SS combatants, whose divisions were meant to embody the ideals of the Nazi regime, left my emotions in a state of confusion. Among them was tank Ace Michael Wittman. Surrounding his grave were different bundles of flowers as well as pictures (almost absent from all other graves). The grass surrounding his stone had actually worn away from frequent visits. The site had in itself had begun to resemble a shrine. I understand people paying respects to the dead. However seeing a member of the 1SS Liebstandarte Adolf Hitler being recognized so adoringly in death, simply because he had racked up a massive kill count against allied vehicles and their crews, was a little unnerving to say the least. 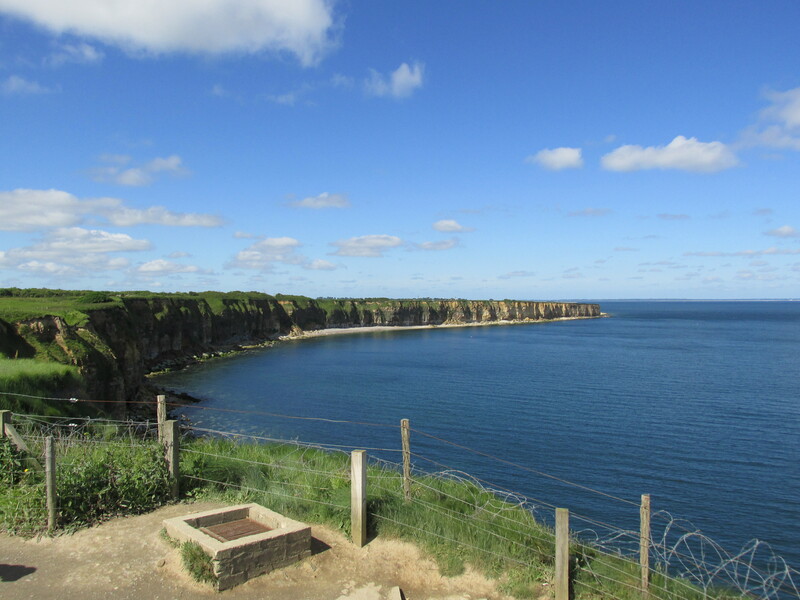 From the grounds surrounding the cliffs, I also gained a much better understanding of the unrelenting power of naval gunfire. As we walked the area we were immersed in enormous craters dwarfing our group exponentially in size. 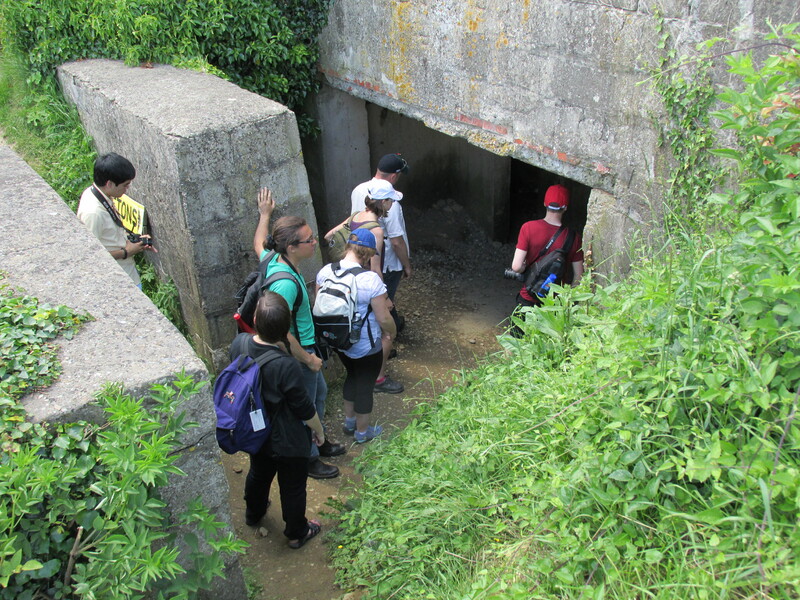 We passed a munitions bunker that had suffered a direct hit. 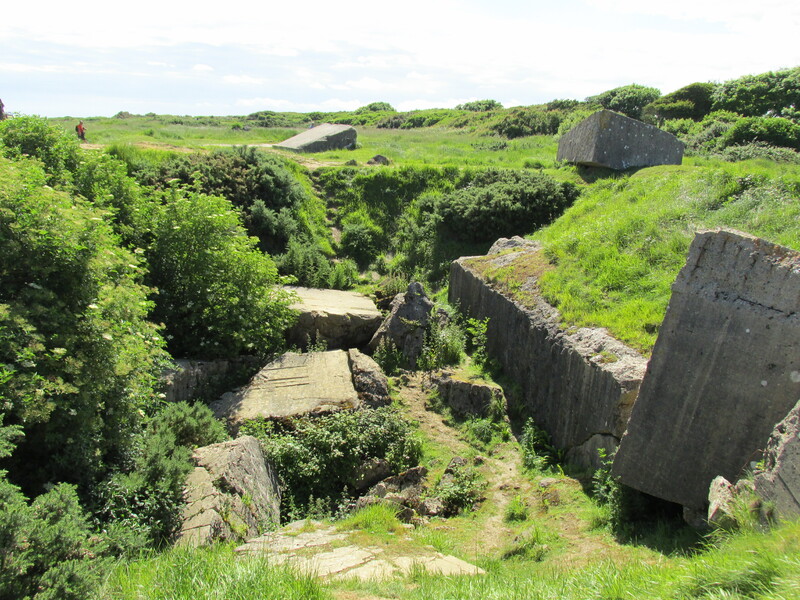 What was once an imposing structure of impenetrable reinforced concrete lay flat and strewn across the landscape. After Pointe Du Hoc we headed to the Omaha cemetery and beach. Upon arriving at the cemetery, I was confronted with emotion I have never really felt before. My stomach sank and churned with a sickly sadness. I felt overwhelmed as I stared at line after line of crosses. All in perfect uniform as far as the eye could see in every direction. What also struck me about the American cemetery was not just sheer numbers, but every cross displayed the state from which the soldier had originally resided. It really made me appreciate how these regiments were made of men from literally every corner of the continent. Although growing up hundreds of miles from each other, they had traveled a world away to give their all on the beaches of Normandy, together. Having finished paying our respects as best we could at the cemetery, we proceeded to walk down to the beach. Looking at the casualty figures of the D-Day landings, I had always wondered why this beach in particular had been exponentially more fatal. The combination of walking the actual terrain and the commentary provided by Marc and Col. Dave, really helped put into perspective the events that transpired there (ie. the difference between the German 352nd infantry division, opposed to a costal division, or the elevated concrete Widerstand nests ). The group gathered around the sands as Col. Dave used shoes taken from the group to explain the landings along the shore. We listened intently before spending some time walking through the shore where the carnage and sacrifice of 70 years before took place. It was oddly peaceful. The cool water caressed our feet as we strolled and we could think only of those who might have taken these same steps before us.